Our full range of hot beverage solutions on display at Host Milan 2017. From Seattle to Seoul, Marco delivers precise, high quality hot beverage solutions. 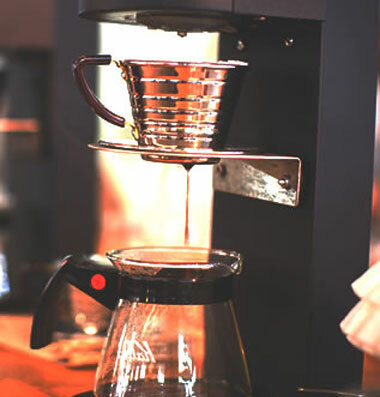 In addition to hotels, coffee shops, offices and catering companies our products are used by across a variety of HORECA suppliers to serve quality tea and coffee around the world. At Host Milan we had the opportunity to meet our global partners and work with passionate members of the specialty coffee and tea communities. 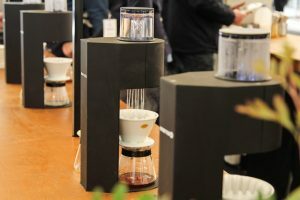 Our booth was an international affair, hot beverage with barista Piotr Jeżewski brewed coffee from Norway’s Tim Wendleboe, Tea came from Canton Tea Company in the UK and KiMMA coffee from Turkey also joined the brew bar. The twin SP9 gave visitors a taste of precise, single-cup brewing and similarly for perfect tea brewing, the MIX demonstrated its three volume, three temperature output. We also had the opportunity to support Nuova Simonelli’s Coffee Science Hub with four MIX fonts and four SP9s. The Hub was an essential stop for anyone passionate about coffee, with university researchers guiding visitors through the various layers of coffee science. The experts discussed and analysed all elements of coffee production and held discussions and presentations throughout. Host had over 180,000 visitors from 177 countries over the five days. Europe, China, USA, Russia and the Middle East were among the highest visitor numbers. For us, it was an opportunity to meet with our valued global distributors. See our full list of distributors here. Hope to see you at Host Milan 2019!